Premature gray hair is becoming a constantly growing problem these days. With age, gray hair is a common sight. However, this phenomenon is becoming very common for teenagers and other young people. People of all age groups are suffering from grey hair irrespective of the gender. 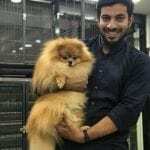 The premature gray hair is nothing but the process in the body wherein pigment Melanin production by the cells that gives hair color doesn’t occur. Graying Of Hair Bothering You? Graying of hair is a natural process of the human body. The root hairs under the scalp have a hair tissue called as the hair follicle surrounding it. The hair follicle is composed of the pigment containing cells. The pigment melanin is responsible for giving the hair its color namely; black, brown, blonde, etc. As the body ages, the capacity to synthesize the pigment Melanin decreases as the pigment cells die. The decrease in the pigment melanin leads to premature graying of hair or whitening of the hair. It is important to understand that gray hair can also occur in children due to malfunctioning in melanin production and needs medical attention. When you think about what causes gray hair, there could be many reasons for the development of gray or white hair in people. Offspring’s of those parents who had prematurely gray hair development will be at a high risk of graying of hair. Direct exposure of the hair to sunlight must be avoided. Use herbs rich in antioxidants especially flavanoids. Taking Vitamin supplement or pill. Avoiding junk food intake and processed food items. There are many causes for premature gray hair; you can follow few guidelines to prevent the hair from graying prematurely. It is crucial to understand that graying of hair is an irreversible process. You can try and maintain the diet and control other factors to decrease the pace at which your hair turn gray. Curry leaves are popularly known to boost the production of melanin. Black walnuts are popular for making the hair black naturally. Using hair packs with natural ingredients will facilitate in making the hair black naturally. Applying oil to the hair with natural ingredients is known to accelerate the development of black hair. Substituting the coffee intake with green tea in the daily routine. Now that you have understood the causes for the development of gray hair in people, you might be thinking about the premature gray hair treatment. There are many natural remedies to stimulate the blackening of hair. Many Ayurvedic practitioners use a combination of carrot juice, sesame oil, and fenugreek seeds as one of the best remedies for gray hair. Carrot has many natural vitamins and sesame oil is known to be very healthy for the hair. 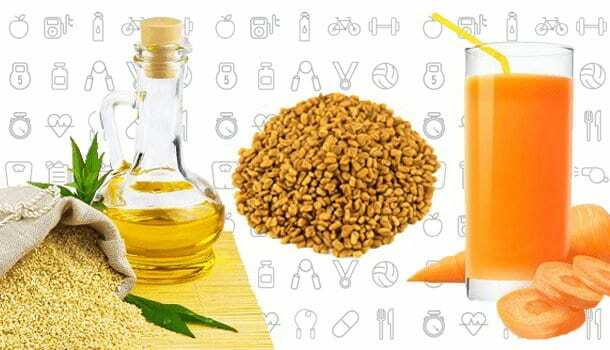 Combine the prescribed quantities of sesame oil, carrot juice, and fenugreek seeds powder. Expose the mixture to sunlight for 21days. Apply the mixture to hair thrice in a week for about three months to help get rid of premature gray hair. Curry leaves are a common ingredient in the kitchen used almost in every gravy and dish. Curry leaves are known to be effective in preventing the graying of hair and also in promoting hair growth. Coconut oil has many benefits for the overall health of the skin. Boil curry leaves in coconut oil properly. Allow the oil to cool to room temperature and sieve it in a bottle. Apply the oil on the scalp regularly. 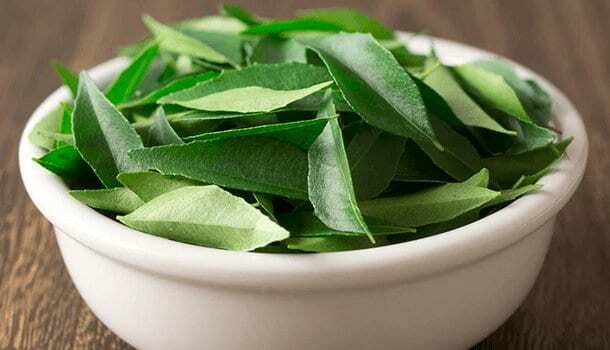 Curry leaves when consumed directly or applied on the scalp, turns out to be the most effective natural remedies for gray hair treatment. 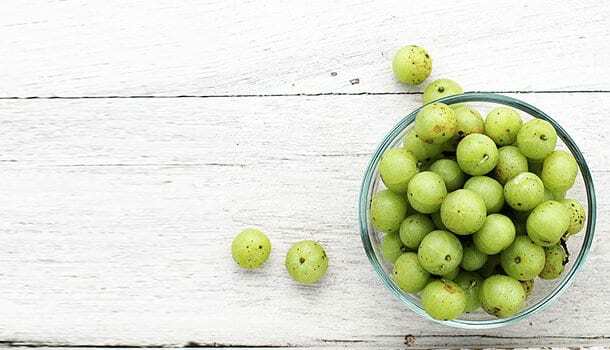 Indian Gooseberry is commonly known as Amla. It is very effective in treating premature gray hair. Cut the Amla into small pieces and dry the pieces under sunlight. Once dried, mix the Amla pieces with coconut oil under the mixture becomes powdery. Apply this powder on the scalp and leave for 30minutes. Rinse with warm water. Almond oil is a rich source of Vitamin E which helps in improving the elasticity of the hair. It is also useful in preventing split ends by locking the essential nutrients around the hair follicles. Lemon is a rich source of Vitamin B, C, and Phosphorous. There are many reasons for premature graying of hair and using almond oil on a regular basis is an efficient way to improve the overall health of your hair. 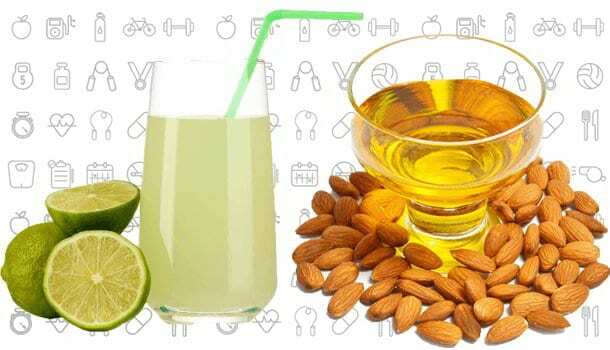 Mix almond oil and lemon juice in a glass bowl. Apply the mixture on the scalp and leave aside for 30minutes. Rinse off the oil by applying a mild shampoo. It turns out to be very efficient in maintaining the health of the hair naturally. 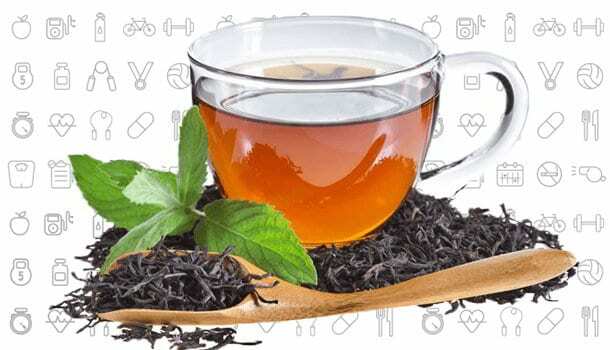 Black tea has great benefits to the health of an individual. It stimulates the growth of hair and improves the strength of each hair strand. Therefore, use black tea for premature gray hair treatment naturally. Boil black tea and salt in water for about 2 minutes. Remove from the flame and allow it to cool to room temperature. Strain the liquid and wash hair with the liquid. It is important to remember not to wash hair with shampoo. Repeat the process 2-3 times in a week as the best natural remedies for gray hair. Onion is known to be an age old remedy for treating many hair problems such as dandruff, premature gray hair, scalp irritation, etc. Lemon juice prevents excessive oiliness of hair and gives hair a natural sheen. 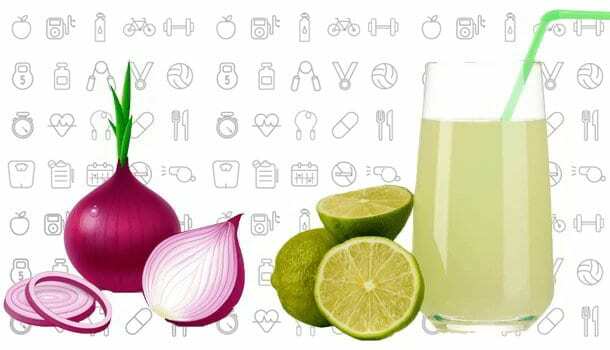 Mix the onion and lemon juice in a glass bowl. Apply the mixture on the scalp and leave for about 30minutes. Rinse with water and a mild shampoo. Repeat the application for 2-3 times in a week for about 15days. The regular use of onion and lemon juice turns out to be the best premature gray hair treatment naturally. 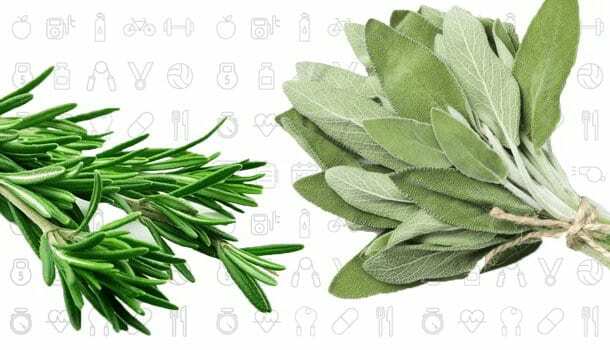 Rosemary and Sage are known to treat many hair problems such as hair fall, scalp irritation, dandruff, etc. It is also known for naturally stimulating hair growth. Mix dried rosemary and sage in water and bring it to a boil. Boil the mixture for about 30minutes and allow it to cool for about 2 hours. Apply the mixture on the scalp and leave it until it dries off completely and wash with a mild shampoo. Repeat the process 2-3 times a week to get shiny and black hair. 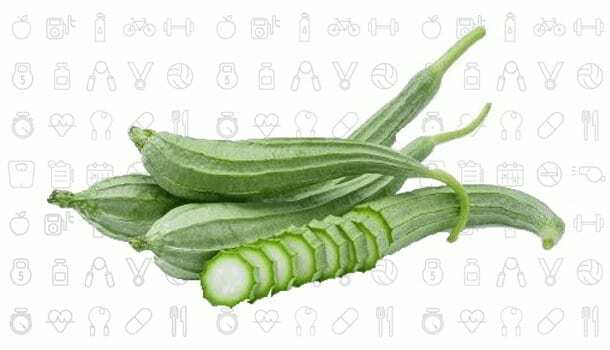 Ribbed or ridge gourd is known to restore the levels of the pigment melanin and thus prevent premature gray hair. Cut the vegetable into small pieces and dry under the sun. Soak the dried pieces of the vegetable in coconut oil for 3days. Boil the oil along with the sun dried pieces of ridge gourd for six minutes. Allow the oil to cool to room temperature and sieve it. Apply the oil at bedtime to the scalp and rinse off the next morning. Buttermilk is an age-old remedy to treat premature gray hair. It is an amazing source of probiotics that not just improves digestion, but also smoothen the hair ends, and promotes hair growth. Crush the curry leaves and add buttermilk to form a smooth paste. Mix the paste well and apply on the scalp. Leave it for 30minutes then rinse with a mild shampoo. Shikakai is scientifically Acacia concinna. It has been in use as shampoo for cleaning the hair. It is popular for the stimulation of hair growth, reduces scalp irritation, and prevents the hair from premature graying. Grind the shikakai pods in a mixer grinder till it forms a smooth paste. Whisk sour curd well and add the powder to it, and apply on the hair. Allow it to stay for about 20minutes and rinse well with water. There are many health benefits of green leafy vegetables. Amaranth juice is rich in vitamins, minerals, antioxidants, and carbohydrates. The juice is a rich source of the pigment melanin that helps in the premature graying of hair and restores a healthy black color. Rinse the leaves with water and crush them well to extract the juice. Shampoo the hair and towel dry them. Apply the fresh juice on the scalp and massage well for about 5minutes. Leave it for about 30minutes then rinse well with water. It turns out to aiding the premature graying of hair significantly. How To Camouflage The Grey Hair? If the natural ways of preventing premature graying of hair don’t seem to work well for you, then you can go ahead with the synthetic dyes. The market is overflowing with a plethora of brands that use hair blackening dyes which impart a black color to the hair on a temporary basis. Many people use henna for imparting a natural color to the hair. Henna has many health benefits for the hair such as preventing split ends, brittle hair, making the hair bouncy, naturally shiny and imparting a naturally brown shade to hair. Hence henna is widely preferred by people over the other synthetic products. Bid farewell to gray hair and pamper your beautiful tresses with the home remedies! The natural ingredients in the hair packs will be completely safe for use and very rarely any case of allergy is known. So pamper your hair with the healthy hair tips and hair care regime today!